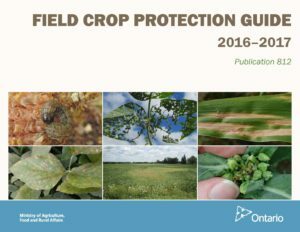 The 2016-2017 version of OMAFRA Publication 812, Field Crop Protection Guide, and can be downloaded here or by clicking on the the book cover thumbnail below. 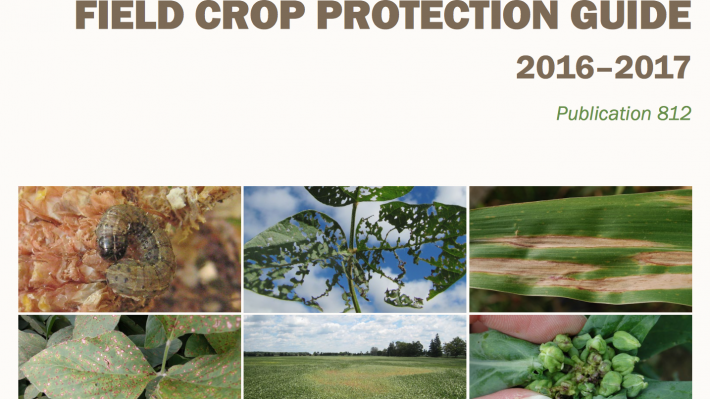 Publication 812 is the source of pest control information for field crops. 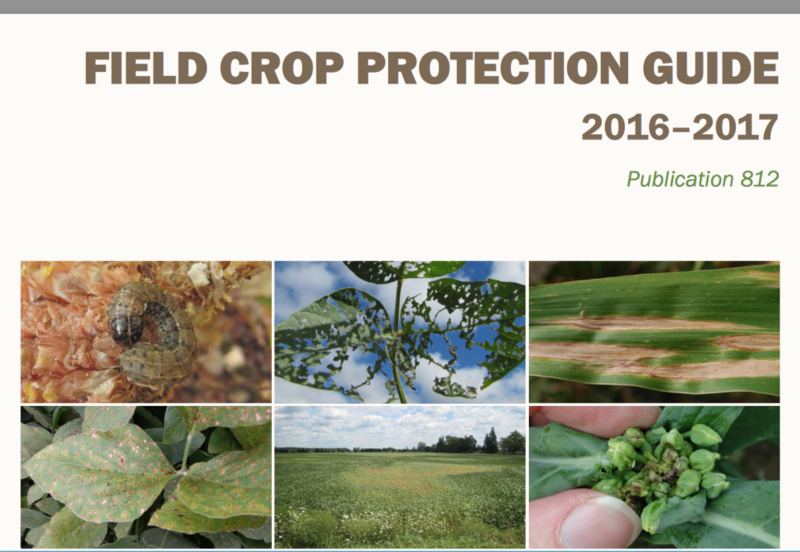 The easy to read tables provide information and comments on insect and disease control products for the major field crops including best control options for integrated pest management for each insect and disease.